Based on the popularity of Texas Hold’Em it would only be natural to expect that all forms of gambling are legal in the State of Texas. Yet, despite the popularity of this classic game, all forms of betting on card games are illegal in Texas. Gambling laws in the Lone Star State are strict and residents, as well as visitors, are only allowed to bet on greyhound dog racing and horse racing. Social gambling such as bingo, office pools and charitable raffles are exempt from the rule while betting on any games of chance apart from dog racing and horse racing are strictly prohibited in Texas. According to the Texas Gambling Law PEN 47.1, gambling is the agreement to win or lose money or anything of value, partially or solely by chance. Licensed gambling activities include three racetrack greyhound racing, and on-track pari-mutuel wagering, as well as simulcast races, are legal. Licensed on-track pari-mutuel wagering, simulcast races and horse racing are also legal. Keeping a casino or gambling place are prohibited, communicating gambling information, promoting gambling, or possessing gambling devices that are intended to further gambling are illegal. Texas’ definition of gambling is the agreement to lose or win anything of value placed as a bet on anything that is completely or even partially based on chance, which encompasses many forms of gambling including betting on sports games outcome, table games, scratchcards, and slots. In the State of Texas, the law does not allow for any casinos and specifically prohibits ownership of a gambling place. This strict set of state gambling laws regarding any or most forms of gambling, however, do not affect Native American lands and therefore there are at least two legal casinos built on native lands in Texas. Tribal lands exemption from the state laws came in 1988 when the federal Indian Gaming Regulation act came in place, which enabled three tribal casinos to open in the past 20 years of which only two still exists. When it comes to social gambling in Texas, there are some exceptions such as auctions for charity and private card games. But once the house or host takes any cut of the proceeds, they are in violation of the Texas gambling laws. The social gambling activities that are allowed needs to take place at a private destination while the only participant in such activities should be the winner of the bet while the chances of losing or winning must be even amongst all participants. The criminal code of Texas does not make special mention of online gambling, and although its existing laws could very well apply to all online betting activities, online bettors have never been prosecuted or arrested. As with most other states in the US, the residents of Texas can join online casinos without being in danger of being charged or arrested. Obviously, it could change at any stage, which might just be to the benefit on online players since it could include the legalisation of online poker, yet the state has failed to pass a law since 2015. When it comes to the fight against online casinos or even the legalising of it, Texas has quite a unique set of laws regarding casino games, which are bound to play a pivotal role in the decision-making process. It remains a state to keep an eye on as it would be interesting to see how Texas handles laws regarding online poker and online casinos in future. The legal age of gambling in Texas is 21 years of age at the local casinos. The population in Texas sits at around 26 million residents, and there are thousands of online casinos welcoming players whose only real chance of getting their gambling fix is to head to reputable online operators. Current considerations by the Lone Star State include the passing of an amendment that would allow online poker, although this amendment was originally initiated in 2013, and rejected, it is expected that changed could follow in the near future. 1. Which Online Casinos are the safest? With everything being considered bigger in Texas there is no question that it also applies to online gambling and for this reason, thousands of online operators gladly accept players from this US state. The safest casinos available to players residing in Texas are those licensed by reputable agencies, such as the Government of Curacao, UK Gambling Commission, and the Gambling Commission of Antilles. The UIGEA legislation of 2006 does not criminalise or prohibit the participation of US citizens at online casinos but addresses how a transaction can be made at an online casino and places strict rules on payment processes. The 2011 Black Friday operation was an investigation into several online poker sites that were suspected of violating the regulations of the UIGEA, and it was not targeting online players at all as its intent was to increase the security and safety of players. 2. What are the bonuses and promotions at online casinos? There are no online gambling options that are regulated or licensed or even owned by the state of Texas, which leaves thousands of online casinos in a favourable position to compete for new members residing in the Lone Star State. The benefits to Texas players is that this fierce competing for their membership ensures them of an opportunity to take advantage of incredible bonus offers. 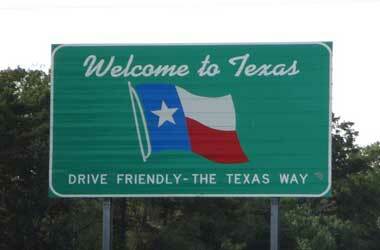 Several online casinos welcome players from Texas with a no deposit bonus once registration is completed. Some of the most popular bonuses are offered via welcome packages which consist of a combination of 40 up to 60 wager free spins as well as a 100% up to 200% welcome bonus. Apart from incredible welcome offers, membership also offers access to a variety of other bonuses including reload bonuses offered on all deposits, cashback bonuses also called second-chance bonuses and loyalty rewards. 3. What is my betting option? Online casinos offer players from Texas an extended variety of games including classic slots, video slots and progressive jackpot slots, as well as several versions of blackjack, roulette and baccarat. High rollers have an oasis of games to select from, these cater for casual players via low betting options, while players can increase betting amounts to best suit their needs. 4. How can I make deposits and withdrawals? Like with any other U.S State, the UIGEA law pass have a huge effect on the freedom of banks or financial institutions ability to process payments to online operators. The passing of the law does not prohibit membership at online casinos but only prevents banks from allowing payments to online casinos. Hundreds of online casinos have since changed their payment methods to include the acceptance of decentralised digital currencies. This provides players with an additional layer of privacy and security, and one of the most popular cryptocurrencies that are now accepted at most casinos is Bitcoin. 5. How Long Does it Take to Receive Winnings? The payment-period hugely differs from casino to casino, although cryptocurrencies such as Bitcoin and Litecoin is processed in the shortest possible time. Most operators promise payouts within only a few hours should members select a cryptocurrency as the withdrawal method. By using e-wallets such as Skrill, PayPal, or Neteller withdrawals can take two up to three days, while credit or debit card payments could take up to seven business days.